Healthcare organizations today operate under extreme pressure to improve poor quality, decrease rising costs, and expand access to vital healthcare services. They are dealing with the realities of acute workforce shortages, rapid technological change, increasing service and delivery complexity, increasing government regulation, and so much more. To be successful in face of all these challenges, healthcare leaders cannot afford to manage their organizations as they have in the past. They must transform themselves into lean, patient-centered, healthcare enterprises in which all resources—both human and physical—work in harmony to ensure that patients receive exactly what they need, in the right amount, exactly when they need it. Healthcare is no longer simply about medicine and medical procedures; it is also about mobilizing and empowering all the members of your organization and focusing them on building efficient, reliable healthcare processes that, first, do no harm; second, heal the sick; and third, achieve the company's financial objectives. This Lean Healthcare Forum will feature healthcare organizations and industry leaders who have been successfully meeting the challenges of today’s workplace. Learn how they are significantly reducing lead-times, increasing quality, improving patient, staff and provider satisfaction, achieving greater flexibility, and producing a healthier bottom-line. Gain valuable insight about how they are dramatically changing their healthcare production environments, and turning employees into empowered associates fully committed to the change process. 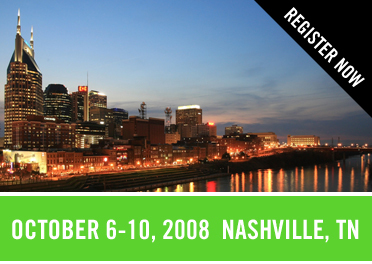 Join us in Nashville at Lean Healthcare Forum, an international, peer to peer Lean learning event and learn how you too can build a lean, patient-centered healthcare environment.